June 11, 2018 By Elise Leave a Comment This post may contain affiliate links. Please read my disclosure policy for more info. Chicken for dinner again? Heck yes! 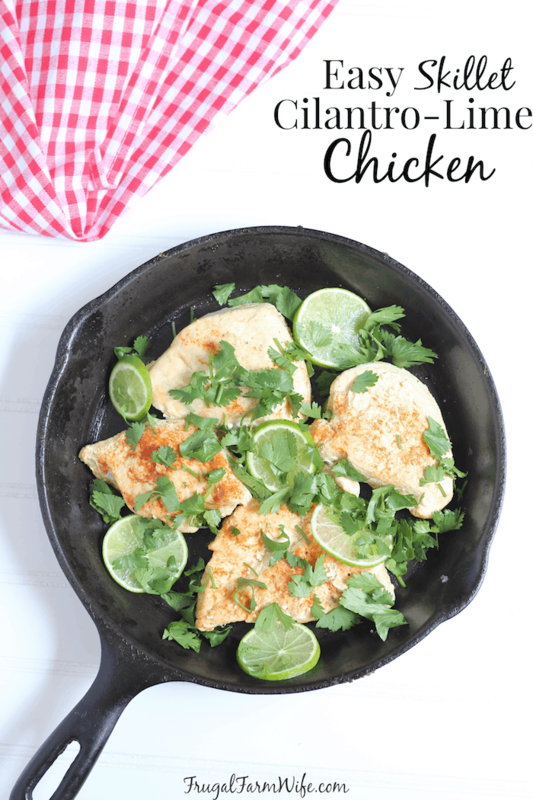 And with this easy skillet cilantro lime chicken, your kids will be begging for more! I’m always on the lookout for versatile chicken recipes because who knows? Maybe I’ve stocked up on chicken breasts via one of Zaycon Fresh’s $0.99 sales, or maybe I’m using those $0.59 leg quarters you get at Walmart. Or maybe both, since I prefer white meat and the rest of my family prefers dark. But the point is, I like recipes that work well with whatever cut I’m using. 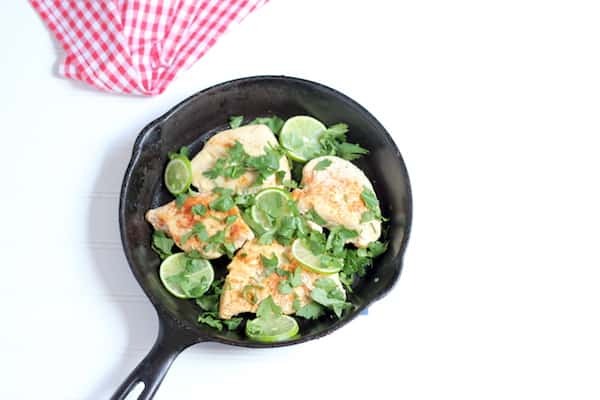 In this particular easy skillet cilantro lime chicken recipe, I like to use either chicken breasts, or chicken thighs – cutting the drumsticks off of those $0.59 leg quarters – with the fat all trimmed off. Because let’s be honest, they look nice. That may sound funny, but we really do eat with our eyes first, so it’s nice to have a pretty dish. The kids both love this dish, which surprised me at first, because it’s covered with cilantro – I guess at this point they’re used to me garnishing their food, and truthfully, I don’t require them to eat very much of it. 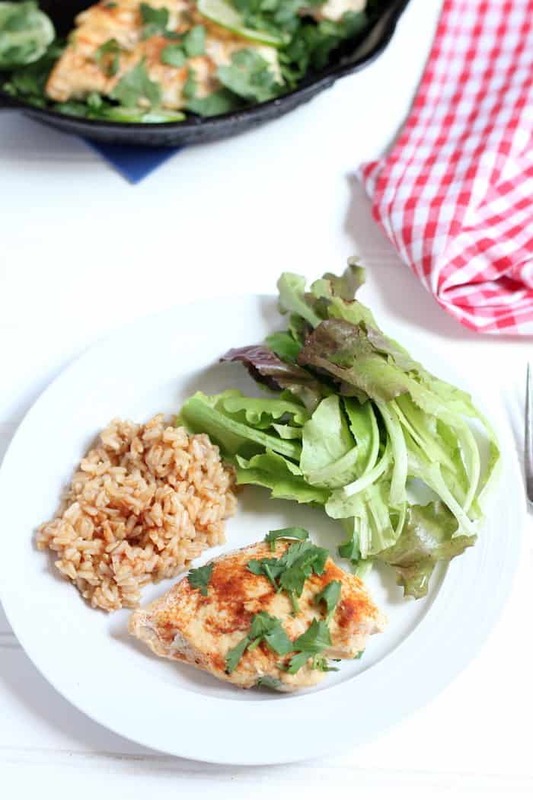 I love the bright, citrusy flavor paired with the paprika, but really the best part is, it’s takes about 15 minutes to make from start to finish – about the same amount of time it takes to make Mexican rice in the instant pot. Now that’s an easy dinner win! Remove lid and flip chicken. Cook on second side for another 10-12 minutes until skin is crisped, and chicken in done inside.